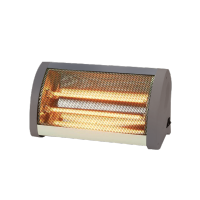 Padmini Trylo Halogen Heater is a 400 watt portable room heater. This room heater comes with 2 heat setting with safety Switch. It also has a Function Portable and easy operation. To Recieve updates and possible rewards for Padmini Diva (400W) please sign in. To Recieve updates and possible rewards for Room Heater please sign in.